August 21, 2017 – ST. PETERSBURG, Fl. – Community Brands, a technology-driven company that delivers purpose-built solutions for the world’s leading associations and nonprofits, announced today findings from its Member Loyalty Study: A Deep Dive into Member Preferences and Retention. This study explores what is driving retention among members of professional membership organizations, and the best ways for organizations to communicate their value. Members feel a lack of connection. 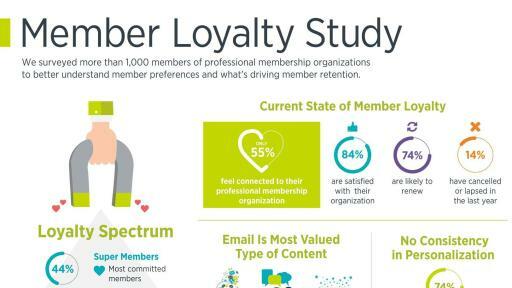 While overall retention metrics remain strong, with the majority of members (84 percent) feeling satisfied with their membership, far fewer (55 percent) feel a connection to their professional membership organization. Code of Ethics and consistent updates on industry information are must-haves for retaining members. Other top benefits are focused on intangibles, such as representing members’ interest, fueling growth and innovation, and raising awareness. Job, continuing education, and training opportunities are most important to Millennial and Gen X members. Professional membership organizations struggle to communicate value. The top reasons members decide not to renew are centered on costly dues and the organization providing little value. 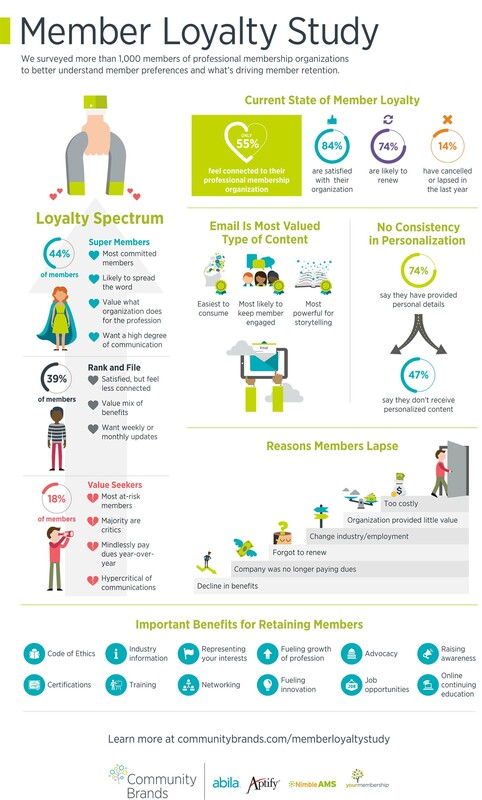 The least loyal members, those most likely to have lapsed in the last year, see less value in intangible benefits. 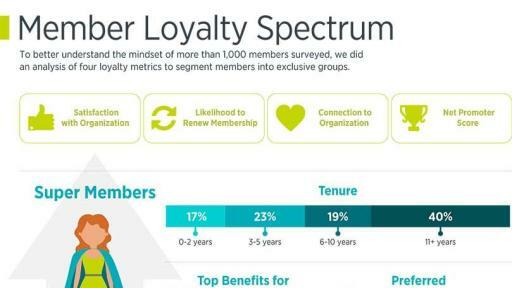 Amount of information members want varies by loyalty level. 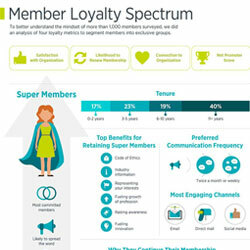 Loyal members prefer detailed updates more than twice a month, while members less loyal to an organization prefer to receive the big news monthly or even less frequently. Millennial and Gen X members are more likely to want more frequent communication. Email reigns supreme with members. Email is the top-performing channel, regardless of a member’s generation or level of commitment. 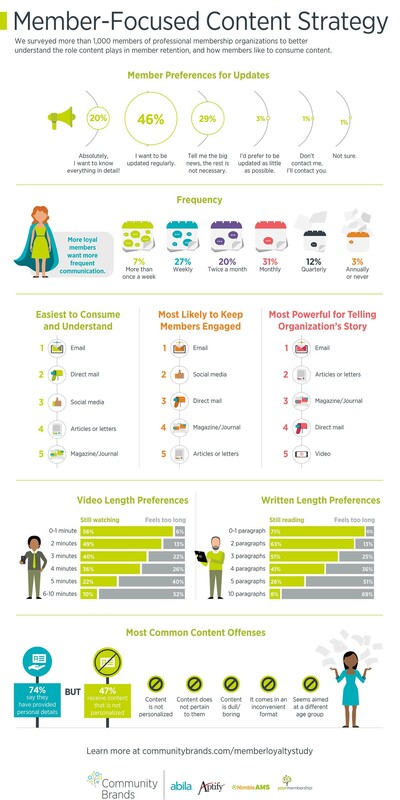 Surveyed members cite email content as the easiest to consume, most likely to keep them engaged, and most powerful for telling the organization’s story. 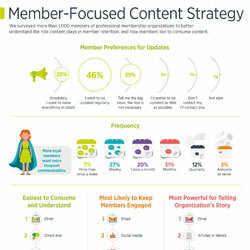 Nearly half of members feel their content is not personalized. 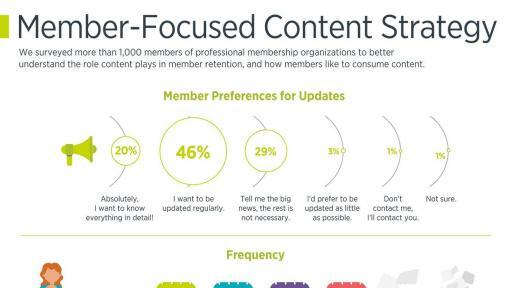 Forty-seven percent of surveyed members say the typical content they receive from their professional membership organization is not personalized. Common content offenses include sending content which is irrelevant, boring, or in an inconvenient format. There is no consistency in collecting and using information for personalization. Seventy-four percent of surveyed members recall being asked for at least some type of personal information or preferences. However, there doesn’t appear to be consistency in terms of what organizations request, and whether they effectively use the information. The entire report can be downloaded at: communitybrands.com/MemberLoyaltyStudy. 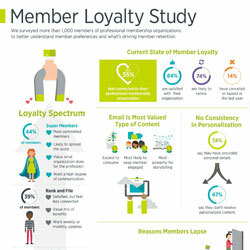 Commissioned by Community Brands and its family of companies (Abila, Aptify, NimbleUser and YourMembership), Edge Research fielded an online survey to 1,025 U.S. association members, who self-reported they are a member of a professional membership organization or have been within the past two years. Survey respondents were recruited through an online non-probability sample, and quotas were set, so the survey was representative by key demographics. The survey was fielded June 28 through July 6, 2017. Community Brands is a technology-driven company that delivers purpose-built solutions to more than 13,000 of the world’s leading associations, nonprofits, and government entities to help them thrive and succeed in today’s fast-paced, evolving world. Community Brands’ focus on accelerating innovation and bringing to market modern technology solutions helps power social impact, effect positive change, and create opportunity. With Community Brands’ software and services, organizations better engage their members, donors and volunteers; raise more money; effectively manage revenue; and provide professional development and insights to power their missions. To learn more, visit www.communitybrands.com.